Tim Holtz Configurations. Configurations are dimensional shadow boxes made from 1/8" wrapped paper board (not thin chipboard or paper Mache'). 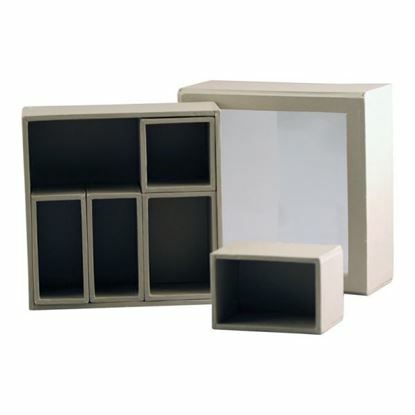 These sturdy covered boxes are inkable, paintable, collagable, and best of all - configurableSize 5.5"x5.5"